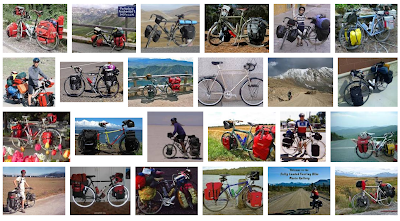 Here's an odd thing- in America, it's normal that a touring bicycle is outfitted with drop handlebars. The most popular bicycles sold for touring come with them as standard models- the Trek 520 and Surly LHT. 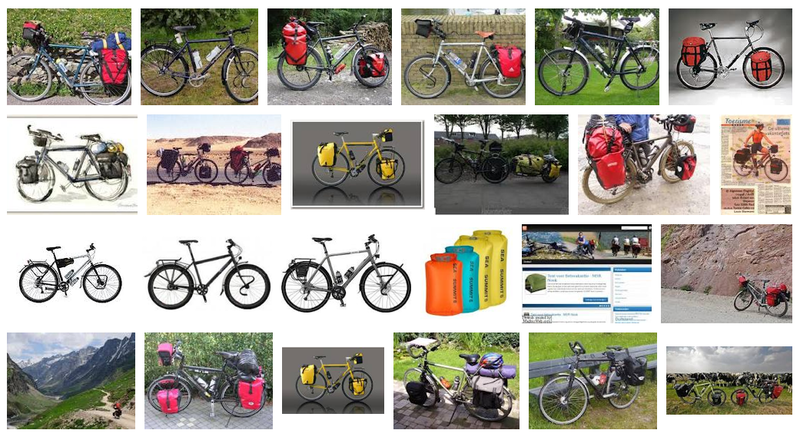 Here's a example google image search for the terms "loaded touring bicycle." Most of the bicycles have drop bars. But in the Netherlands, (with the equivalent term, trekking fiets or vakantiefiets) almost none have drop handlebars. Instead, all standard models like the Koga, have butterfly bars or straightbars with complicated bar ends. 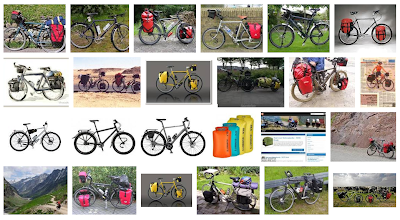 Another google image search for "vakantiefiets"
I prefer drop handlebars because I like to rotate my wrists outward and I like the feel of grip tape. Butterfly bars only offer two levels of the same wrist angle, unless you grip the far edge but that is usually too wide for comfort. My dislike of bar ends is somewhat petty- most are made of a hard plastic and I don't like the way it feels. But I wonder if my preference is also part cultural bias. Or course, there are other differences too. Most dutch bicycles will come with integrated lighting systems, hydraulic brakes and o-locks... American bicycles do not. I speculate that the difference in standard modelling is part of the difference in perception of cycling. Americans see it as mostly sport and in the Netherlands it's a much more varied activity. Just a thought. Any others? - specially since late 70's (after the short-lived rebirth / hype of regular bikes), the US bike market very much narrowed their product development down to this, emphasising sport / leisure > speed / lightness > for 'young and fit'. - the small 'renaissance' of utility cycling that hit US shores in last 5 years is still too small to really move the industry's focus (which should be 'the Blue Ocean' - the majority), as is evident, but it's slowly and surely happening. Perception of cycling is of course mostly driven by industry (marketing) programming, bringing us to back to the fact most of US bike models and marketing represent the perception of sport: they 'need to be light' is a big thing, hence they lack the features that we consider standard issue (more about convenience than improving your split time to the supermarket bij 0,3 sec. As long as this market approach and perception is still persuasive, change will be slow. Cool!! Thanks for the links. I agree that most handlebars don't give the rider the most ergonomic position for the wrists. Since I hurt both my wrists a couple of weeks ago, I am much more aware of the ideal position. Butterfly bars are certainly too wide, but I do like that some types of handlebars give the option of chancing position now and then, something very nice on long rides. But how about adding aerobars for comfort, then?? something we see a lot on ordinary bikes as well here in NL. I have one since a few weeks, and I like them very much. 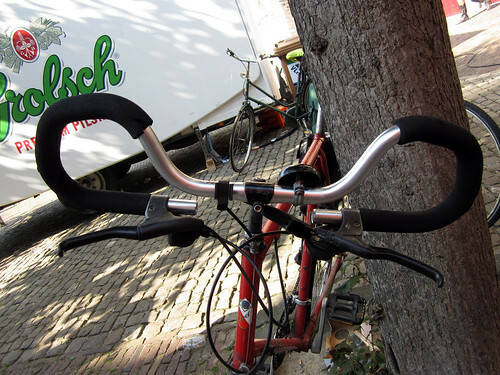 Yes, I was struck by those aerobars on opafietsen, and even omafietsen, on a visit to Groningen last month. I put them down to that North Sea wind that Alicia had to cope with not so long ago. One of the bikes I use for commuting here in America has butterfly bars, and the other drops. For my taste and usage, any set of drop bars and stem combo designed for racing or track is more or less useless, at least as typically installed and adjusted according to popular marketing dogma. With a sensible stem and the bars and brake levers adjusted for comfort and utility on a properly fitted frame, I found some Nitto B115 bars, and also some old SR Road Champion bars, to offer several good hand positions. I like the butterflies, too, and it's very true that they are extremely uncommon here. So much so that I am still unsure of the "right" way to install them. Mine are more horizontal than vertical as in your photo. Is that the typical way people use then in the Netherlands, or do they rotate them for personal taste? I like drop bars because they help me to get out of headwinds, and they offer a range of different positions (useful on long rides, which correlates with touring). I think one reason for the standard handlebar differences on touring bikes between the two countries is as follows. It stems from the bike culture. In the Netherlands a touring bike may also do double duty as a daily commuter bike. So a simple handlebar will suffice and is more popular. Touring may also have shorter distances between stops. Whereas in the US it is the opposite. The bicycle is typically not used as a daily commuter. It is used strictly for long trips in a much bigger country. 100 miles a day is not uncommon. The drop bars would be more efficient for the climbs and descents. The alternate use of the bike would be for weekend road rides where a drop bar is the norm.